Quinoa has become one of the most popular nutritional superstars of the decade. And with good reason! This small seed has an amazing nutty flavour, is incredibly versatile, is easy-to-prepare, is high in nutrients and is a complete vegetarian protein. You may be surprised to learn that quinoa is not a true grain; it's a seed! Like other seeds, it's high in protein and fibre providing balanced energy and satiety. One (1) cup of quinoa has about as much protein as two (2) deli slices of chicken breast or about 15% protein by weight. A big reason quinoa has come into fashion is that it is now easy-to-prepare. In the old days of health food stores, quinoa was sold in bulk and it had to be rinsed many times to remove the bitter saponins. Now quinoa is pre-rinsed and, with a 15-minute cooking time, is a wonderful replacement for refined rice. While brown rice is loved, a common complaint is the 45 minutes it takes to cook. Here's a quick tip : If you want to enjoy quinoa in an instant in the morning, try it rolled. Just like rolled oats, rolled quinoa cooks in just a few minutes. Quinoa’s high fibre helps regulate blood sugar by slowing down the conversion of complex carbohydrates into sugar. It helps you feel full and reduces cravings – making it a perfect weight loss tool. 1. Quinoa promotes healthy bone growth. Quinoa contains all 9 essential amino acids that are used by your body as building blocks to assimilate full proteins for the development of muscle tissue and necessary metabolic enzymes.3 Protein is also necessary for the absorption of calcium into your bones and the development of collagen, as well as the growth factors involved in the healthy growth of the bone matrix. 2. Quinoa can help reduce cholesterol. A 2010 study, conducted in the Netherlands, fed quinoa to rats who were bred to have high cholesterol.4 These rats were also fed a high fructose diet to further increase their harmful cholesterol (LDL) levels. 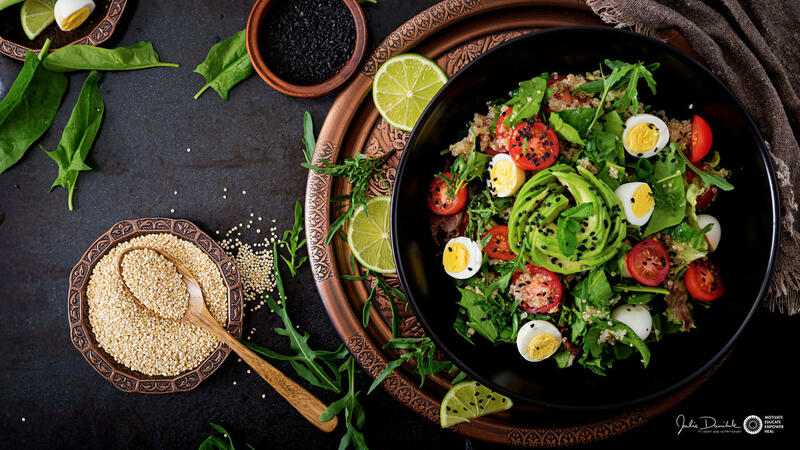 After quinoa was introduced to their diet, the detrimental effects of the cholesterol and fructose began to reverse and cholesterol levels were returning to normal. 3. Quinoa is high in riboflavin. 4. Quinoa promotes cardiovascular health. 5. Quinoa can help prevent gallstones.